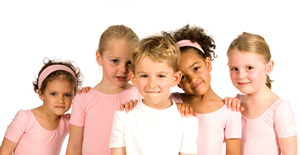 Monnow Ballet School is a small ballet school specialising in quality ballet tuition for boys and girls of 3+ years. Dancing is a delight for children, and ballet offers so many benefits. It improves posture (essential for health and fitness), encourages self discipline, develops spatial awareness, promotes social confidence and creativity, and gives dancers a magical connection with and understanding of the music they move to. Monnow Ballet School, central for Monmouth, Raglan and Abergavenny, is run by Nina Salmon, a registered teacher of The Royal Academy of Dance.